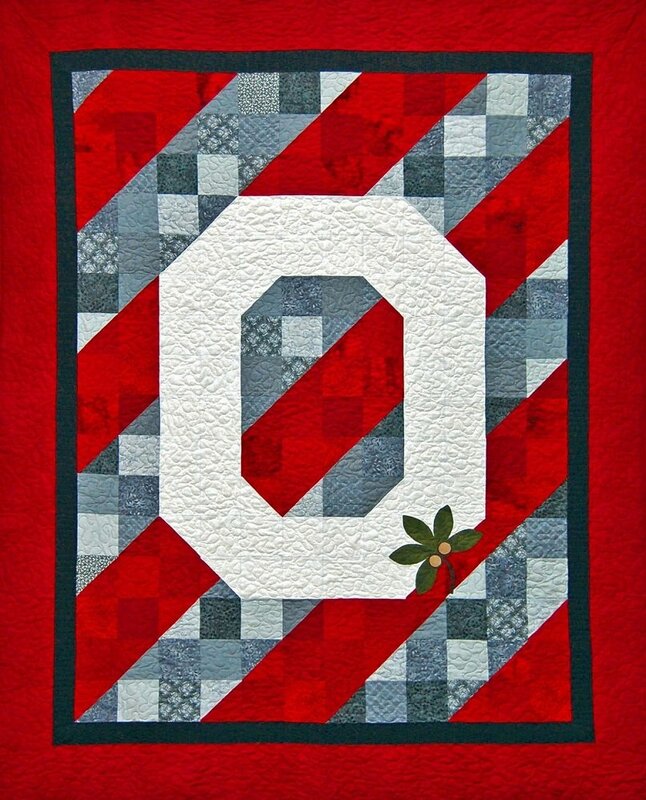 Ohio State Block O with Buckeye Leaf pattern designed by Rita E. Fishel for Creations SewClever, Inc. Kit includes the pattern and enough fabric for the top and binding. 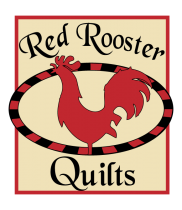 We've chosen scarlet, gray, black, and white fabrics. Fabrics may vary from photos shown. Finished size approximately 62"x78".